Reanimate this! 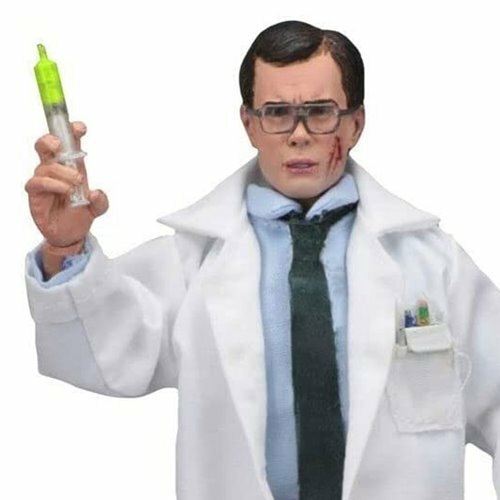 As a clothed action figure, Herbert stands 8-inch tall and is dressed in his lab coat. He comes with a bottle of reanimation reagent, syringe, bloody shovel, Rufus the cat, and a tray containing the severed head of the last guy who tried to steal his invention. The Re-Animator Herbert West 8-Inch Cloth Action Figure comes in a resealable clamshell packaging.